COMPACT STUDIO QUALITY RECORDERS: An advanced concept in recorder design, the PR-10 series provides Ampex Professional Recording Standards in a new compact instrument. These recorders assure studio quality and performance for all field and studio applications, for broadcasters, recording studios, educators, churches, industry and advanced recordists. Major new engineering advances permit COMPACT SIZE WHILE RETAINING FEATURES AND PERFORMANCE OF STUDIO CONSOLES. The versatile PR-10-2 provides 1)complete stereophonic record and reproduce, 2) monophonic record and reproduce with many of the new two-channel techniques now being used, 3) conventional monophonic use (1/2 track). 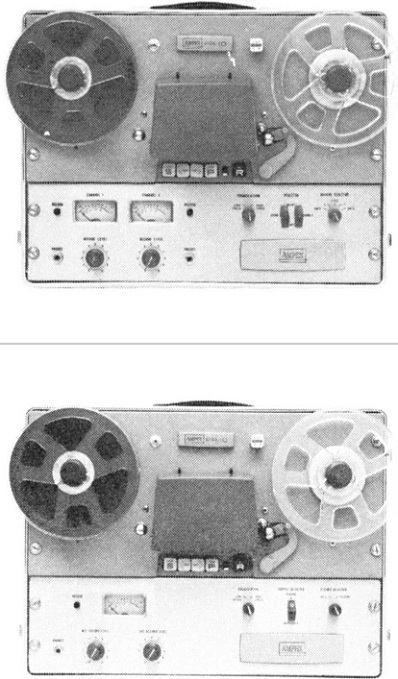 Separate-track erase head in combination with "record/safe" selector permits half-track recording of either track, sound on sound, cue tracks, and other special effects. Fourth head position can be used for quarter track playback head. 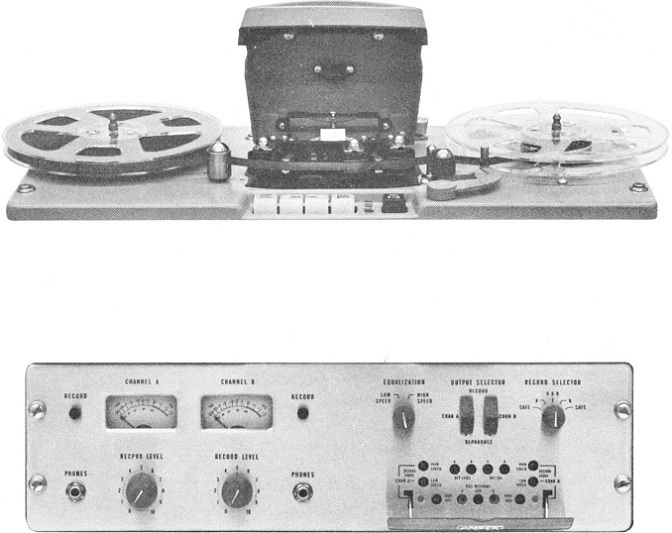 The PR-10-1 is a one channel recorder available with full or half-track heads. Transports are the same as the PR-10-2. Single-channel electronics have the same professional design and construction as the two-channel version, but with a built-in mixer that can mix line and microphone or two microphones (by using a plug-in mike preamp in the line input). The PR-10-1 can be used with AME or CCIR plug-in equalizers. Foundational text and photography courtesy of the AMPEX PR-10 literature. 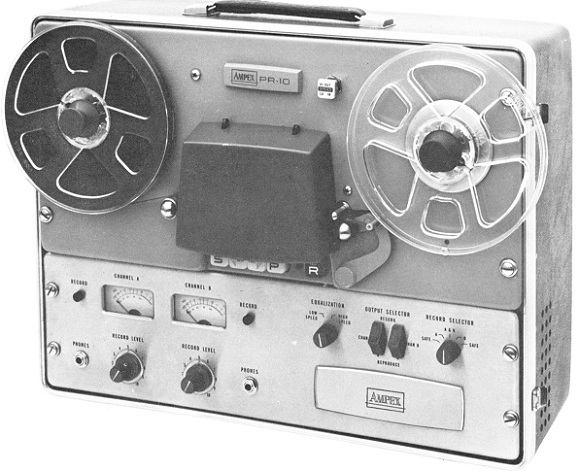 Do you have content, to add, about the Ampex PR-10 Tape Machine or associated topics? Please feel free to Share it, here!